Nifty opened just above the previous day’s close but saw small sell-off to the lows of the day at 6506. The buyers came back to move the index in the green, and closed at 6524.05, a small gain of 7.40 points. The broader market was just positive, with 739 advances to 718 declines. Best support for the series at 6400 and resistance at 6600. 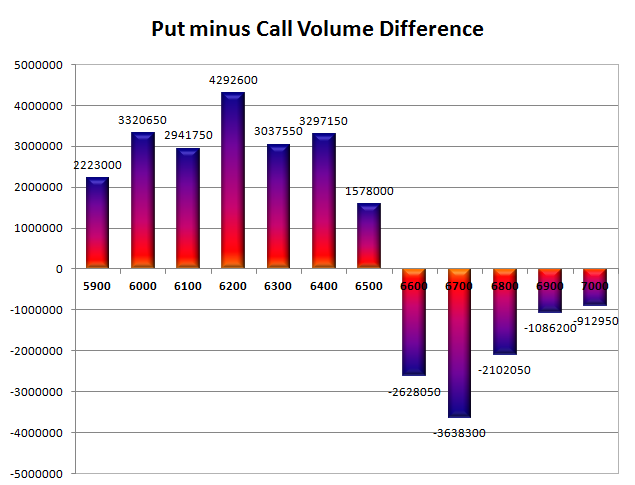 Call option 6500-6700 added 5.62 lacs huge amount of OI with profit booking seen at 6800 and above strike prices. Put option 6600-6400 added 11.40 lacs huge amount of OI with profit booking seen at 6300 and lower strike prices. 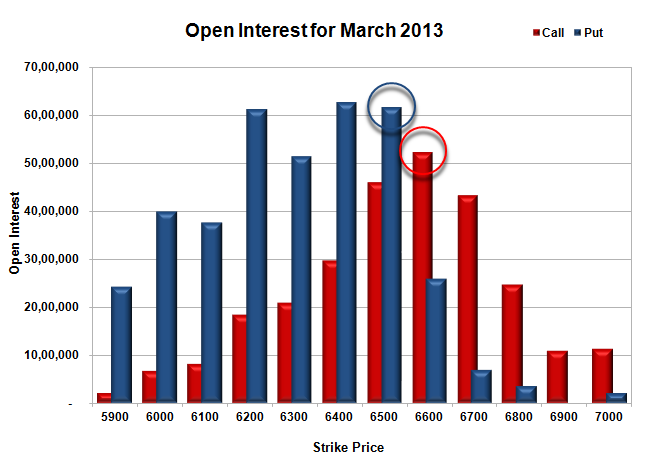 Nifty Open Interest is at 1,99,53,650 up by 2,93,550, with small increase in price, most probably long build-up. Bank Nifty Open Interest is at 18,86,250 up by 17,475, with increase in price, most probably small long build-up. FII’s bought 1.35 lacs Futures, mostly long build-up, as their net OI increased by 24307 contracts (includes 51974 longs to 49265 shorts for the day) and the average price per contract comes to around 6509.10. FII’s future open contract as on date is 518930. PCR Open Interest (Volume) is at 1.383. Initial support got better at 6500, with huge OI of 61.71 lacs and below that at 6400 with highest OI of 62.70 lacs. 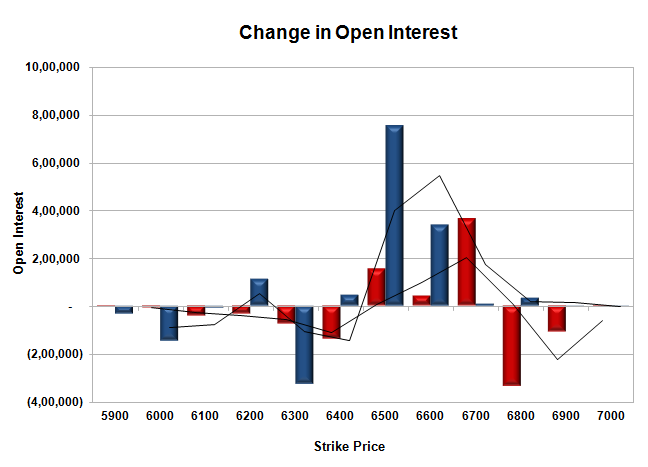 Initial and best Resistance still at 6600, with OI of 52.30 lacs. Day Range as per Option Table is 6472 - 6575 and as per VIX is 6466 - 6582 with 6524 as the Pivot.